Gene variants associated with disease are typically considered faulty; problems arise when the proteins they make don't adequately carry out their designated role. But a new biochemical study from Johns Hopkins researchers suggests that a common variant that increases type 2 diabetes risk makes a protein that is more efficient than its less risky counterpart. Using a screening method it developed, the research team now hopes to use that information to identify drugs that would slow the protein down and perhaps lower diabetes risk for millions. 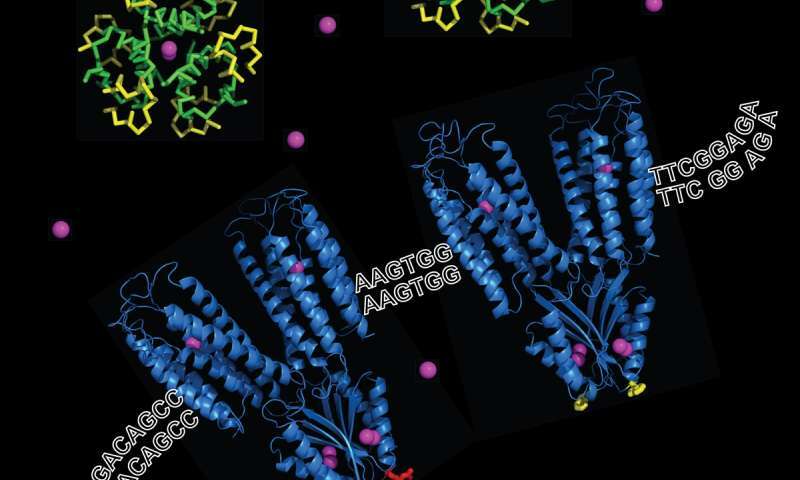 In a report on the biochemistry of the "hyperactive" genetic variant, which transports zinc ions into cells, the investigators say the finding has clarified a long-standing question about the workings of the protein the gene makes. The study will appear as a Paper of the Week in the Dec. 30 issue of the Journal of Biological Chemistry. "Normally it's loss of gene function that causes disease, not enhanced function, so our finding goes against the usual assumption," says Chengfeng Merriman, Ph.D., a research specialist who was part of the Johns Hopkins study team and the report's first author. "Based on our findings, we hope that drugs can be developed that safely make the more common form of the protein behave like the less efficient form, potentially preventing many cases of type 2 diabetes." Scientists who study type 2 diabetes generally believe the disorder is caused by a combination of many genes with relatively small individual effects, acting together with nongenetic factors, like diet, a sedentary lifestyle, age and high blood pressure. Nearly a decade ago, separate large-scale human genome studies identified variants in a gene called SLC30A8 with a relatively big influence: People with the more common version of the gene, dubbed R, had a 12 percent greater likelihood of developing the disease than did people with the less common "W" form. Oddly enough, another study found that people with a very rare, inactive form of the gene had very low diabetes risk. "Given that type 2 diabetes is a growing global epidemic, it has long seemed that a drug targeting the protein SLC30A8 makes, namely ZnT8 or zinc transporter 8, would potentially have a huge impact," says Dax Fu, Ph.D., associate professor of physiology at the Johns Hopkins University School of Medicine. "The problem was that studies on ZnT8 hadn't clarified whether the protein needed to be souped up or slowed down to reduce risk." Specifically, ZnT8's job is to transport zinc ions across cell membranes, and Fu's research group had long focused on similar proteins, so he decided to take a crack at the problem. Studying the proteins embedded in cell membranes is notoriously difficult, he says, because they behave differently outside their distinctive membrane environment. But Fu's team had developed an artificial membrane that let it more easily probe the workings of such proteins. When the researchers measured the rates at which the R and W forms of ZnT8 ferried zinc across the artificial membrane, they found the higher-risk R form was 57 percent faster at the job than its W counterpart. "In this case, breaking the 'speed limit' brings disease risk," Fu says. The group's next steps, Fu says, will be to work with pharmaceutical companies to screen for drugs that slow the transport rate of the R proteins and dig for more details about how compounds may modify zinc transport activity to produce therapeutic effects.